Thanks to cloud services like Dropbox, Google Drive, and OneDrive it's pretty easy to access your files from anywhere. Even so, there are still times when you need remote access to your desktop while on the go. Chrome Remote Desktop is both free and dead-simple to use, unlike most other remote desktop options. Here's how use it. For this tool to work, you'll need to have the Chrome browser and Google's Chrome Remote Desktop extension installed on all PCs that you plan to access, or access another PC from. Once the extension is installed, click on the Apps button on Chrome's bookmarks bar. 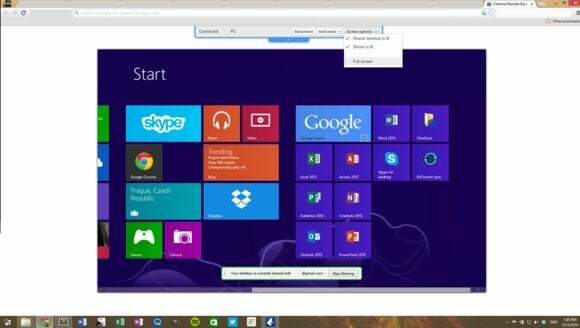 Then select Chrome Remote Desktop in the tab that opens. 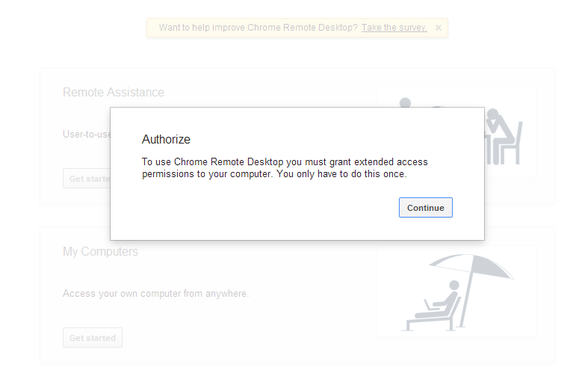 Chrome Remote Desktop requires extended permissions the first time it starts up. With Chrome Remote Desktop open, you'll be asked to give the extension "extended access permissions" to your PC by clicking Continue. This process is really self-explanatory and includes choosing a Google account to associate with Chrome Remote Desktop. That way, you can just sign in to Chrome on any PC and be able to access your list of PCs. After that's done, you should see two options: Connect to a computer to offer remote assistance or access your own computers. Tap the Get started button under "My Computers." Any PC that will be accessed remotely requires you to enable remote connections. You'll then see a list of PCs connected to your account. If this is the first time using Chrome Remote Desktop then you'll only see one PC, which is the one you're currently on. Since this is the first time using the service, you'll see an Enable remote connections button. 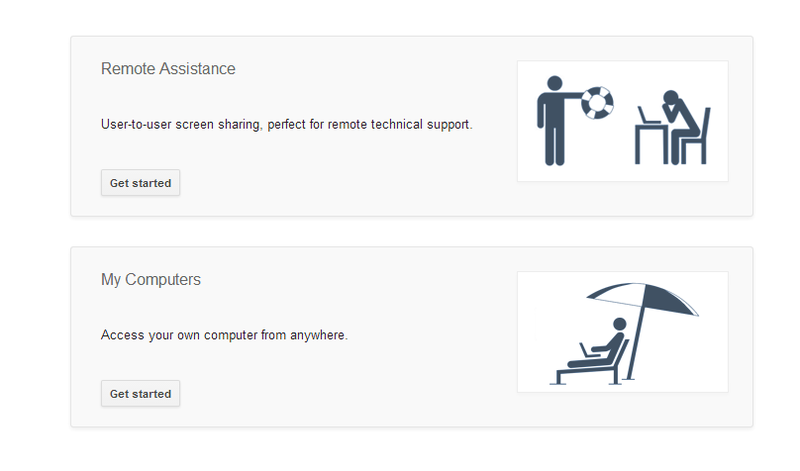 This is required if you plan on accessing the PC remotely. Tap the button and you'll be asked to create a PIN to associate with the PC. After a few seconds you will also be asked to enter that PIN a second time in a new window. All the PCs that use Chrome Remote Desktop require a PIN to prevent unauthorized access. After that's done you are all set-up and ready to access your PC remotely. You must enter your remote PC's secret PIN to access it. Let's say you're on a laptop and you want to access your desktop at home, with the Chrome Remote Desktop extension already installed and set-up on both. 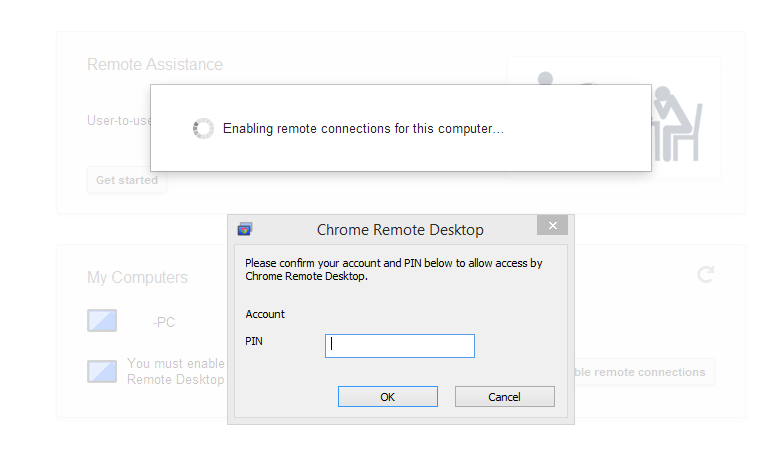 When you enter your PIN to access a remote PC you also have the option of telling Chrome Remote Desktop to not prompt you for the PIN in the future. Just keep in mind that if you enable this feature, anyone who has access to your laptop could then gain access to your desktop at home. Accessing a PC on Android is almost the same as on a PC. You just install the app from Google Play, launch it, choose the PC you want to connect to, enter the PIN and you're all set. 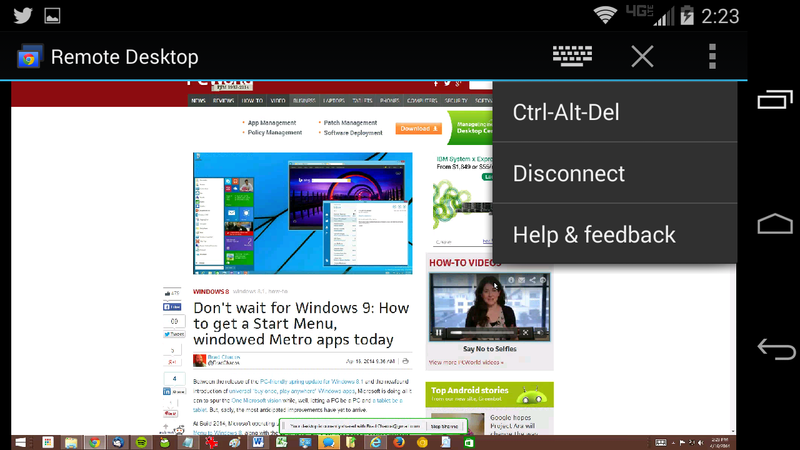 Chrome Remote Desktop on Android. Navigating your desktop on Android takes a little getting used to, but you'll get the hang of it after a few minutes. You can also use the pinch-to-zoom feature of your mobile device to zoom in or out of a specific location on your desktop. But don't be fooled: You can't just tap a taskbar icon as if your remote PC were a touch device. You'll still need to drag the mouse pointer across the screen to take actions such as launching an app, opening the control panel, or even shutting down the PC. Tapping your screen functions as a mouse click. Also keep in mind that the Chrome Remote Desktop for Android is for accessing your PCs alone, and cannot be used to access your mobile device remotely. There are also a few downsides to using Chrome Remote Desktop on a PC. The first one being that you cannot make the screen size any bigger. The full screen option you see at the top of the screen isn't really that—it should be called distraction-free mode, since all it does is black out the rest of your PC screen so that you can only see the remote desktop. It doesn't actually expand your view. You also have to be sure that your PC power settings aren't set to put your PC to sleep when idle, as Google's browser extension cannot be used to wake and access a sleeping PC. Nevertheless, when you have to access a PC from far away, Chrome Remote Desktop is a very reliable, very easy, and utterly free way to do it.